Camp John Hope FFA-FCCLA Center is located on 226 acres, nestled in the northeast corner of Macon County, Georgia, overlooking Lake Lassiter. Its namesake, Dr. John Hope, was born June 2, 1868 in Augusta, Georgia. 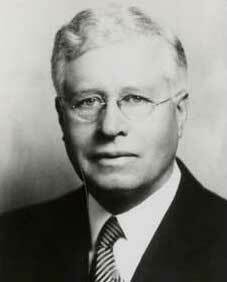 Dr. Hope was president of Atlanta University during the early 1930s. He had an affinity for underprivileged youth and recognized the need to establish a continuing education and recreation place for young African-American men. Being of partial African-American decent, he was particularly fond of those involved in organizations for young African-American men. Dr. Hope spent several years planning and obtaining funds and land for a center for youth to enjoy educational and recreational activities. Unfortunately, Dr. Hope did not live to see his dream come to pass. He passed away February 20, 1936. Construction at the camp began July 26, 1937. The following year, June 1938, marked the first year of a camping program at Camp John Hope. Dr. Hope devoted most of his adult life to developing the camp, so in turn; the camp was named in his honor. Though the camp is named after Dr. Hope, there are many key individuals and events that helped make Dr. Hope’s dream come alive. The land that the camp sits on near Montezuma, Georgia was originally acquired by a professor at Fort Valley Normal and Industrial School (currently Fort Valley State University), A. T. Wilson. 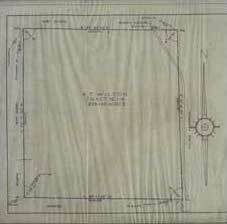 He agreed to purchase the land and sell it to the Resettlement Administration (currently the Farm Service Agency). The administration eventually purchased the land from Mr. Wilson, which allowed for government funds to be used in the establishing of the camp. The Board of Regents of the University System of Georgia also took interest in the development of the camp, so funds were appropriated that allowed construction to begin in 1937. Throughout the 1930s and 40s, individuals such as Alva Tabor, A.T. Wilson, Dr. H.A. Hunt, Dr. M.D. Mobley, T.G. Walters, and Dr. D.B. Lassiter worked to secure funding for the camp. As the camp’s programming moved more toward educational groups such as the New Farmers of America, the Resettlement Administration felt disconnected with the camp. As a result, a proposal was made to the Georgia Department of Education to assume ownership of the property. Alva Tabor and T.G. Walters were instrumental in getting the bill passed that deeded the property to the Georgia Department of Education. The deed was transferred directly from the United States Department of Agriculture to the Georgia Department of Education, without any monetary statutes, on December 18, 1945. Once the department of education gained possession, this allowed for state educational funds to be allotted to the camp. The next several decades proved very positive for the camp. Mr. Tabor, Miss Daisy Lewis, and others worked tirelessly securing funds and helping establish camping programs at the camp. One major accomplishment was the construction of Alva Tabor Memorial Auditorium. It was dedicated on August 24, 1956 in memory of Mr. Alva Tabor. The only cottage on the camp was built in honor of Miss Daisy Lewis. The 1960s and 70s brought significant changes to the camp. Many present day cabins, recreation areas, and the pool were constructed during this era. The current dining hall was built in the late 70s, as the previous facility was destroyed in a fire in 1976. Camp John Hope has undergone many changes to facilities and camping programs over the last 75 years, but one thing has remained the same; the desire to serve the youth of Georgia. Growth and improvements are still evident at the camp today. Camp John Hope continues to strive in providing a safe, relaxing environment for youth, religious, & civic organizations.